Resource-rich regions usually expect and strive for local economies to benefit from oil, gas and mineral projects. Unfortunately, that is not always the case. These regions do not always know how to take advantage of extractive activities to create sustainable economic development, be it creating jobs and developing local businesses or building skills and improving technologies. Local content is the processes of building such economic capital at the national and subnational level, and meeting set public policy objectives. 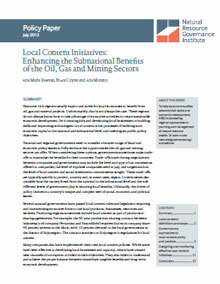 This paper offers guidance on designing and implementing local content initiatives in the oil, gas and mining sectors to ensure economic sustainability within producing regions. It aims to answer the question of how national and subnational governments, industry and civil society can maximize local benefits through partnerships among governments, companies and civil society organizations (CSOs). 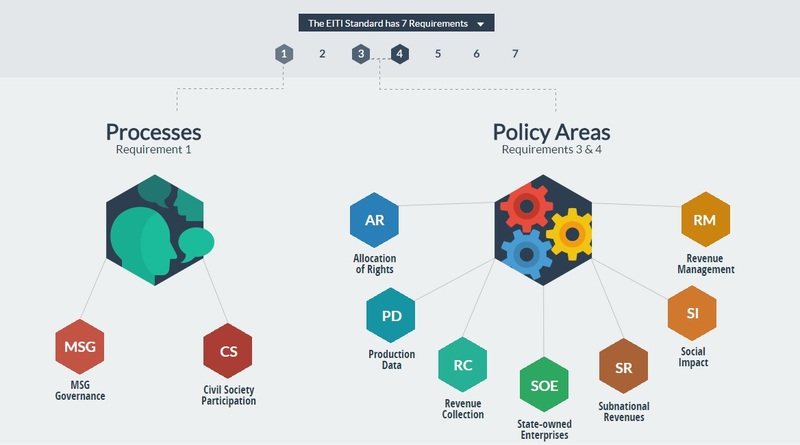 Governments should set clear targets based on which companies should make commitments and publish transparent reports on results. CSOs can then analyze the results and monitor progress of local content initiatives.